Circa 1803. Listed in the National Register, this newly renovated four-story hotel once served as a tavern through the Battle of Gettysburg and was used as a hospital for soldiers. 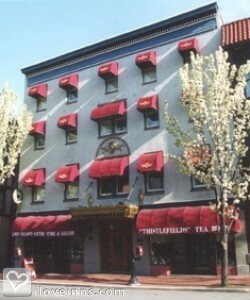 Outfitted with cranberry colored awnings and a gold painted entrance, the hotel offers a tea room, nature store and gallery on the street level. From the lobby, a polished chestnut staircase leads to the guest quarters. 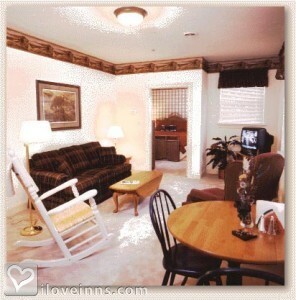 All accommodations are suites with living rooms appointed with home furnishings, and each has its own kitchenette. 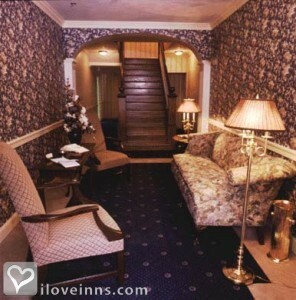 Breakfasts of home-baked scones and coffee cake are brought to your room.Location: Small historic town. 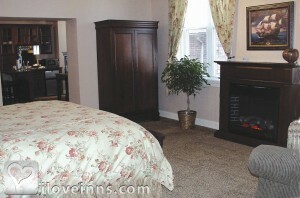 Rooms: This property has 12 total guest accommodations, 1 with fireplace, 1 with whirlpool, 12 suites. Cancellation: By noon the day before arrival or by special cancellation date. Amenities In Room: Hot Tub/Spa/Jaccuzi, Hair Dryer, Fireplace, Data Ports, Coffeemaker, Clock Radio, Central Air, Cable TV, Bath Amenities, Iron/Ironing Board, Reading Lamps, Refrigerator, Telephone, Television, Turn-Down Service, Voice Mail and Wireless Internet Access. Amenities On Site: Gift Shop, Fax, DVD, Copy Machine, Handicap Access, Phone and VCR. Business Traveler Amenities: Television, Off-site Dry Cleaning Services, Iron/Ironing Board, Hair Dryer, Gym Nearby, Flexible Check in/out Times, Flexible Cancellation, FAX On-site and Wireless Internet Access. Events Hosted: Meetings, Honeymoons, Romantic Getaways, Family Reunions and Weddings. Other Activities: Antiquing, Art Galleries, Bicycling, Fishing, Golf, Hiking, Horseback Riding, Live Theater, Museums, Parks, Shopping (Local Crafts), Skiing Cross Country, Skiing Downhill, Tennis, Wineries, Amusement Park, Gettysburg National Military Park and Eisenhower National Historic Site. Historic Awards: Local Register (Applied), City Historical Site (Granted), City Historical Site (Applied) and Local Register (Granted).